PT Wijaya Karya Realty - WIKA Realty is a well-established realty and property company in Indonesia. Its business include realty development, property management and construction services. WIKA Realty has its business activities focused in landed house, highrise (Apartment, Condotel, Office Mix Use), industrial estate, and also property management. WIKA Realty is a directly-owned subsidiary company of state-owned construction giant PT Wijaya Karya (Persero) Tbk (WIKA Group). As of December 2015, PT Wijaya Karya Realty is 85.41% owned by WIKA Group, 14.10% by Cooperative Karya Mitra Satya, and 0.49% remaining shares by WIKA Foundation. According to PT Wijaya Karya Realty Annual Report 2015 as cited by JobsCDC.com, WIKA Realty posted an increase of 29.59% in total assets from Rp 2,221.96 billion in 2014 to Rp 2,879.45 billion in 2015. Total net sales in 2015 reached Rp 1,435.90 billion, increasing 10.42% compared to Rp 1,300.34 billion in 2014. 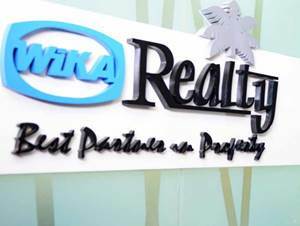 WIKA Realty's comprehensive income current period was down 29.73% at Rp 85.17 billion as compared with Rp 121.22 billion in 2014. Minimum D3 any discipline, preferably from the hospitality field. Holds around 2-3 years of experience as a housekeeper. Experienced and have knowledge of housekeeping in industrial building / property management and hospitality. Able to provide basic and advanced training on the field of hygiene and comfort. JobsCDC.com now available on android device. Download now on Google Play here. Please be aware of recruitment fraud. The entire stage of this selection process is free of charge. PT Wijaya Karya Realty - D3 Supervisor Housekeeping WIKA Group December 2016 will never ask for fees or upfront payments for any purposes during the recruitment process such as transportation and accommodation.